CINCINNATI -- A 60-year-old man is dead after he crashed into a parking garage around 8:20 p.m. Wednesday at 2061 Reading Rd. 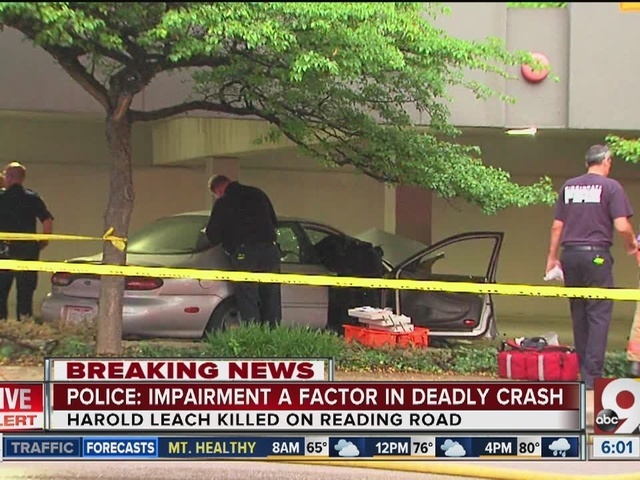 Harold Leach was killed when he swerved left, careened into a tree and utility pole and ended up hitting the parking garage head-on, according to police. Police said impairment was an issue, but could not specify any more than that.